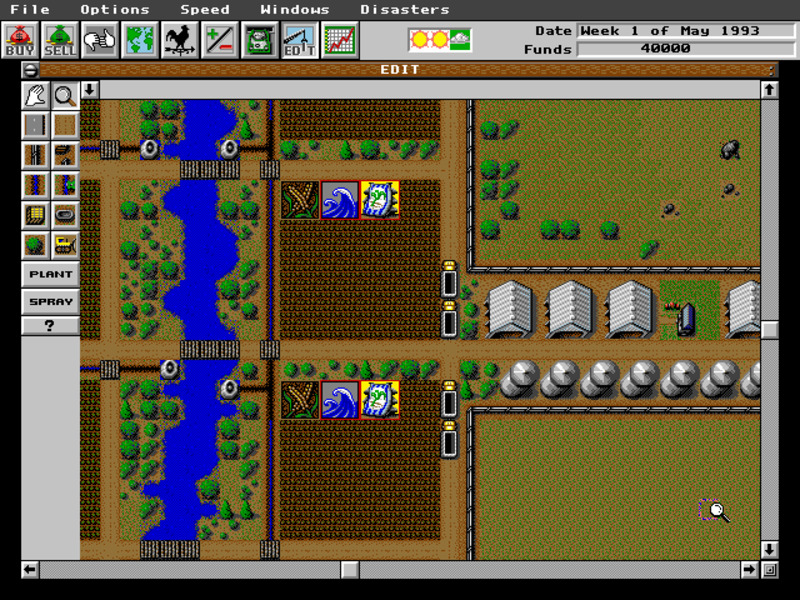 SimFarm was developed by Maxis as a spinoff of SimCity, and allowed the player to simulate the running of a farm. 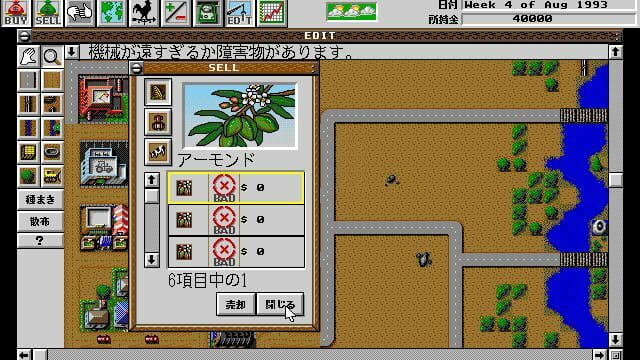 It was released in 1993 for PC Dos, and was released a year later for Macintosh. 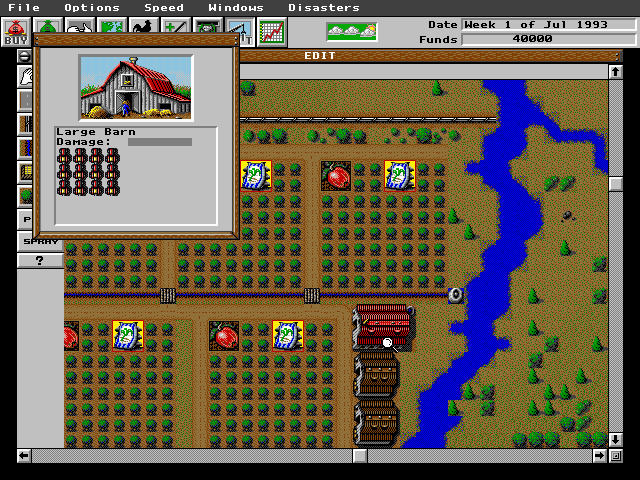 It has become a classic, and began the subsequent development of the farm simulation subgenre, although Maxis did not make any sequel to the game in the way they have for SimCity. 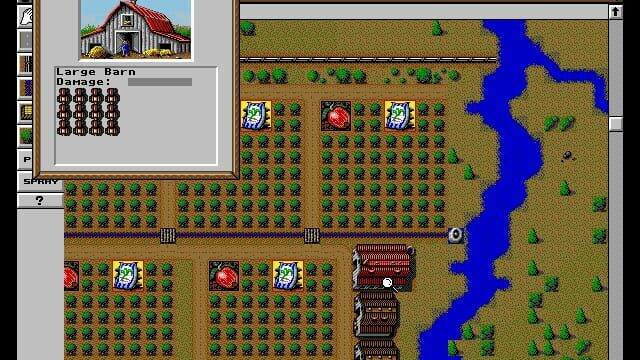 Mirroring duties on a real farm, SimFarm puts players in charge of building up the land, placing the buildings, buying and selling livestock and planting crops. A weather and season system are in place as well, presenting the same kind of challenges found in a real-world farm. 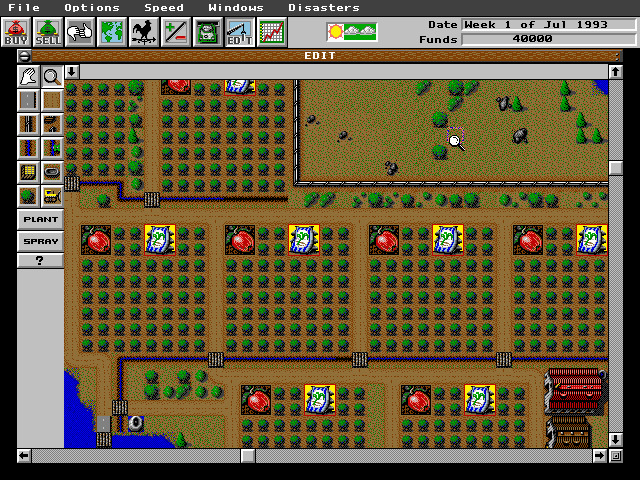 As with SimCity, there are disasters that can wreak havoc on the player's farm. Tornadoes, droughts, pests, and dust storms are some of the events that can disrupt farm crops and harvests. 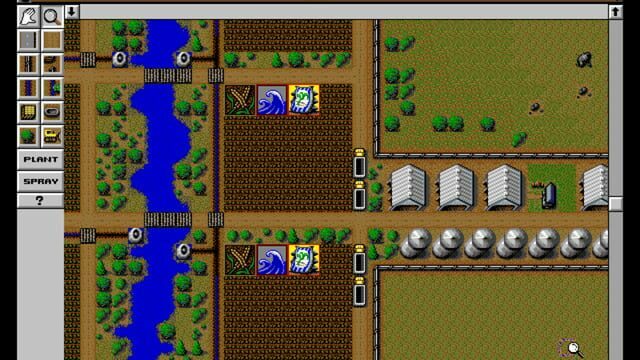 SimFarm also has a small town included in its simulation. This town is reminiscent of SimCity in its form and function. 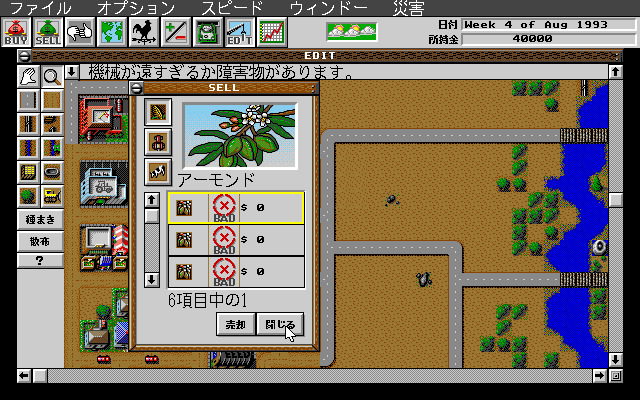 The player may interact with the town occasionally by suggesting new tile types and joining competitions with livestock (such as sending in a prize pig to potentially earn a blue ribbon and a cash prize.) Suggesting an airport to be built in the town will usually cause its construction, thus unlocking the ability to buy and use a crop duster. 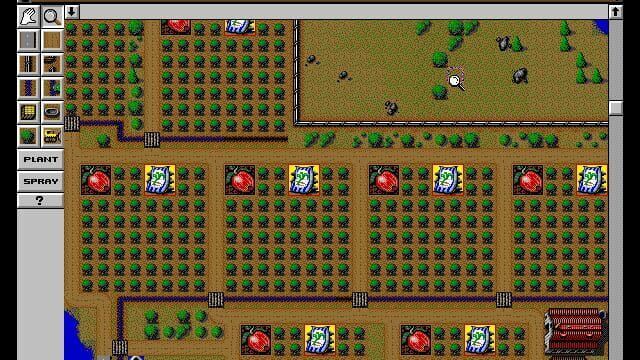 The homestead in SimFarm is where the player lives and is expanded at the beginning of each game year if the player has made enough money in the previous year.